Take a visual tour of the Grand Opening event, click below. 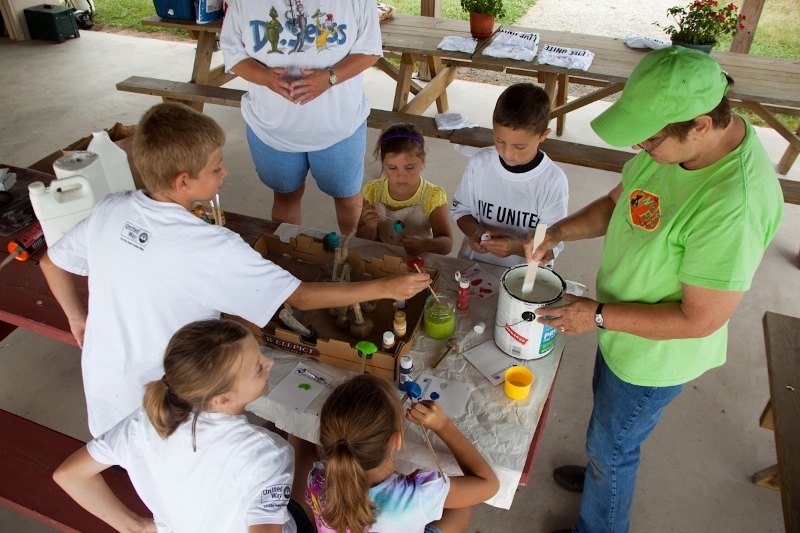 Volunteers and attendees alike enjoyed the day of fun and adventure at Harmony Arboretum. 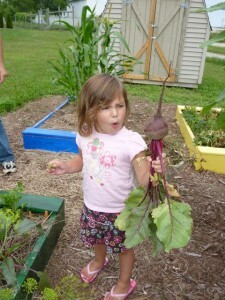 The purpose of the CHILDREN’S LEARNING GARDEN is to involve children in gardening and interacting with nature. The idea behind this garden is to be both fun and educational to get the children involved and engaged with nature. 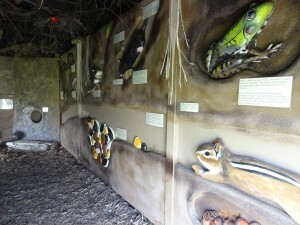 It has been planned so that it can be used by groups of children with a teacher and also by individual families. 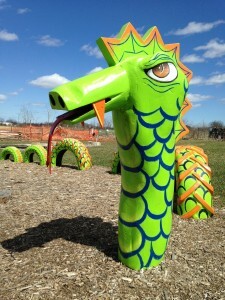 The components of the children’s learning garden are being renovated and completed. 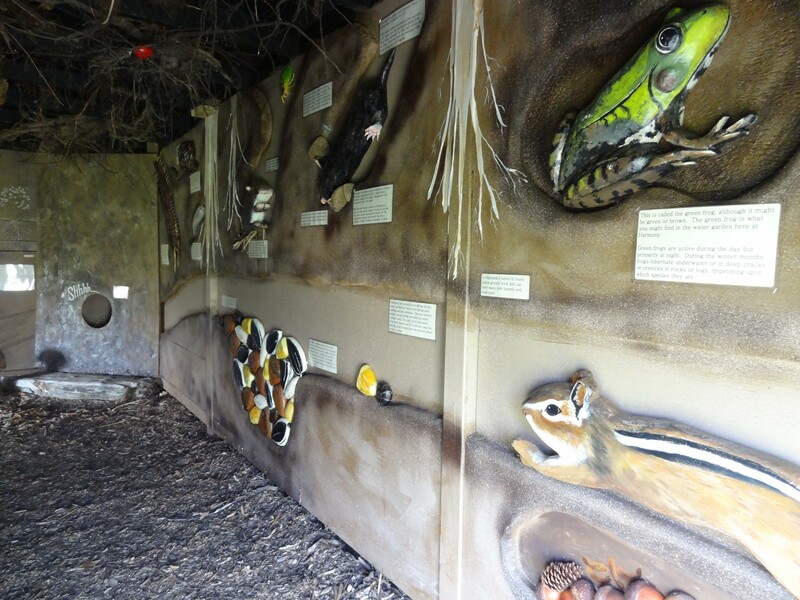 The chipmunk tunnel has new additions within the “underground layer” showcasing various critters that take shelter underground. 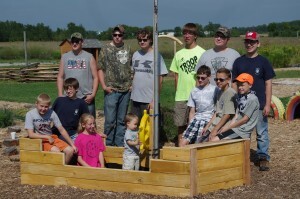 An Eagle Scout has created a “pirate ship” sandbox in addition to several child size Aldo Leopold benches. 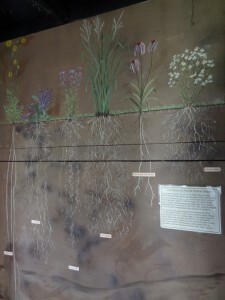 There will be a potting shed at a scale where children can utilize it. Currently growing are willow trees that will be trained into a wigwam as they mature. 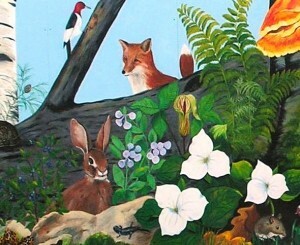 The imagination that can be found here is priceless! 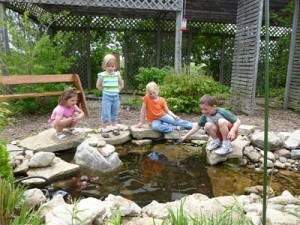 Children exploring the world of tadpoles and frogs. 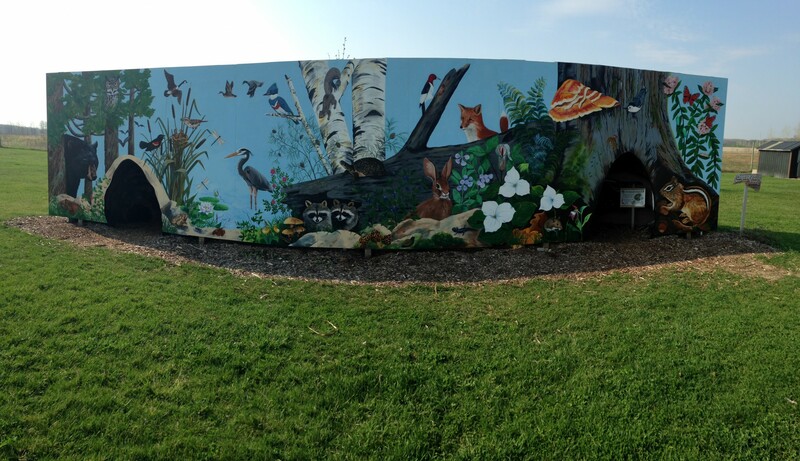 This 36 foot mural depicts 50 animals and plants native to the area. 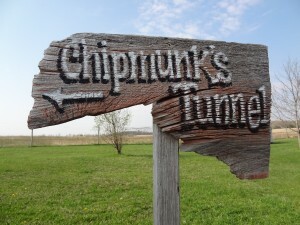 It is the front of a triangular structure which houses the “Chipmunk’s Tunnel” exhibit. 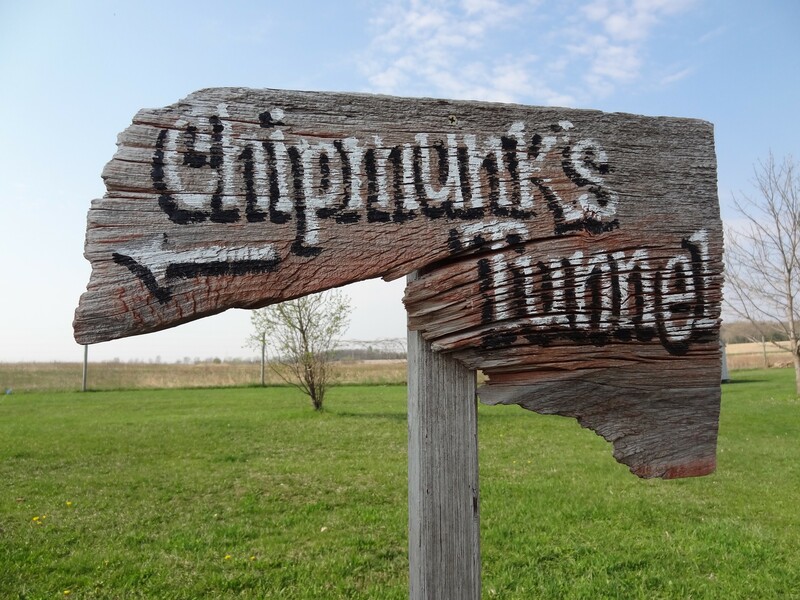 Children are asked to imagine that they are only a few inches high, and what they see on the inside of the above-ground “tunnel” are other animals that a chipmunk might see while in his underground home. 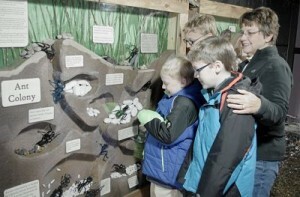 Barbara Kane Anderson shows visitors the larger-than-life ant colony cross-section she created to depict the activities that go on underground in ant tunnels. 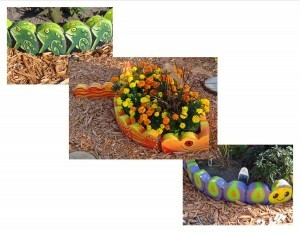 The ant eggs, larvae and pupae were made by Brenda Socha and her students in the Marinette Middle School Art Club. If you are able to contribute financially or otherwise to the Children’s Learning Garden, there will be a metal art piece dedicated to those who have made donations to bring this worthwhile idea to fruition.